Giant invasive snail, Achatina fulica. Photo courtesy of USDA. I wrote a post a couple of weeks ago about Burmese pythons and other giant constrictors now living wild in Florida. Thousands of them are successfully breeding there. I got a lot of pingbacks from that post, mostly from indignant owners of giant constrictors. 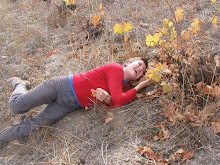 As you probably know, introduced and invasive plants and animals are everywhere in the U.S. In one county park near my home in North Carolina, 35% of the plant species are nonnative - so I'm told by a professional botanist who frequents the park. Florida is particularly susceptible to invasion by nonnative species because of its subtropical climate, and because of the number of people and shipments coming in from the Caribbean and Latin America. One invader that has been in the news lately, as a major plant pest and potential public health threat, is the giant African snail Achatina fulica. Its maximum size is 8 inches long and 4.5 inches wide - one of the world's largest land snails. 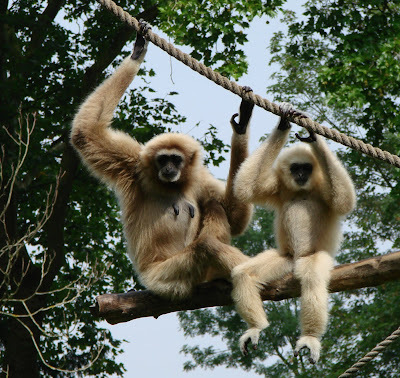 One pair of mated adults can lay 1,200 eggs per year. A child brought 3 of the snails into the Miami area as pets in 1966 and his grandmother subsequently released them into her garden. By 1973, those three had spawned a population of 18,000 snails. The government spent $1 million over the next decade trying to get rid of them. Mark Fagan, a spokesman for Florida Dept of Agriculture and Consumer Services says the main concern is damage to agricultural crops. The snails can eat at least 500 types of plants, including citrus crops. They are known to carry a parasite, rat lungworm, that can cause serious diseases such as meningitis in humans. According to the University of Georgia website, these diseases can be transferred to humans by eating raw, undercooked infected snail meat or contaminated vegetables. Vegetables can become contaminated if the snails move across them. The snails also eat stucco and plaster for minerals to grow their shells, damaging homes and other buildings. These giant African snails were thought to be eradicated in Florida, although present on Caribbean islands. But they have recently resurfaced in Florida, says Fagan. Multiple snails were found last month in Hialeah, Florida. In addition to their large size, the snails can be recognized by having 7 to 9 spirals and a brownish shell that covers half the body. If you see these snails in your area, call your local department of agriculture. Anthony Colarossi. "Florida targets giant African snails." Orlando Sentinel. Colarossi's article appeared in the Charlotte Observer March 22, 2010. My husband, an ecologist, keeps a list of people whose profession matches their name, such as peanut specialist Shelly Nutt, ornithologist Christopher Bird, editor Zachary Read. But the best is Dr. Boris Worm, a marine biologist at Canada's Dalhousie University. He's always been our favorite, because we loved the peculiar marine worms we learned about in grad school. So I was thrilled to finally see Dr. Worm, on screen. He is perhaps the "star" of the new and excellent documentary "End of the Line". Worm is much more charming than his name might suggest, but the news he delivered was bad. A dogmatic researcher, Worm analyzed Japanese fish-capture records gathered over several decades, looking for trends in numbers of marine fish. What he found was disturbing, to say the least. Since "large scale fishing" began in 1952, the abundance of large oceanic fish has decreased globally by 90%! Worm said that when he first realized the magnitude of what we've lost, "it sent shivers down my spine." What exactly is "large scale fishing"? The documentary does a wonderful job of impressing upon the viewer the magnitude and power of today's modern fishing techniques. "High-tech industrial vessels are hunting down every known edible species of fish," said narrator Ted Danson. Too many boats with too much capacity are chasing too few fish. For example, the "long-lining industry" sets 1.4 billion hooks annually, on heavy-duty fishing line that could encircle the globe more than 550 times. The mouth of a single large trawling net could accommodate thirteen 747 jetliners. Fishing vessels, and airplanes that track schools of fish illegally, are equipped with so much technological equipment, fish have no chance of escaping. Bottom trawlers, which drag nets across sea beds and coral reefs, cut down everything in their path including the inedible, such as sea fans, corals, and sponges. The unintentionally caught or "by-catch" include sea birds, hundreds of thousands of sea turtles, sharks, whales, and dolphins. Seven million tons of by-catch are tossed back into the ocean each year, dead. Said Dr. Callum Roberts of York University in the U.K., "the signs of destruction brought up on deck would make an angel weep." Most of the stats and data presented in the documentary are probably available from various websites, journals and books. But the strengths of the DVD are its emotional impact, and the persuasive presentation of the whole story in one sitting. Its emotional impressions are delivered via personal stories of passionate scientists on a quest for the truth and solutions, and indigenous fishermen in handmade boats, now unable to feed their families. Said Adama, a young Senegalese fisherman, "The sea has betrayed us. If my children grow up here today where there is no future, how will they think of me as a father?". Until 2002, the scientific community was under the impression that, despite all odds, the world catch was increasing each year. So, although scientists were worried, no one was too alarmed. Turns out, China had been reporting false catch data for years. The world catch is actually decreasing every year and has been since 1988. Mitsubishi stockpiles a disappearing species - for future profits? 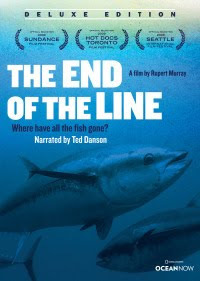 Another of the compelling stories told on the DVD involves the demise of bluefin tuna, as related by Roberto Mielgo, a man dedicated to identifying the perpetrators of an impending extinction. Scientists have recommended that fishing of bluefin be limited to 10,000 tons per year to allow the species to recover from previous overfishing. A ceiling as high as 15,000 might prevent collapse of the population. But for political reasons, governments have sanctioned a catch of 29,000 tons annually. In reality, 61,000 tons were caught in one recent year - 1/3 of the entire remaining bluefin population. Fishermen and corporations cheat because they can, and they don't get caught. In the documentary, a passionate Mielgo described the role of Mitsubishi in the decline of bluefin tuna. He believes the company is stockpiling bluefin for the day when the species will be extinct and the price of their highly regarded flesh will skyrocket. The bluefin situation demonstrates what multinational corporations, international fishing policy, and consumer demand can do to a wild species. Several scientists and fisheries workers expressed pessimism about human nature and the ultimate depletion of the ocean. Said professional diver Haidar El Ali, "Man is not going to change and the sea is going to be dead. Because man is crazy. We are crazy!" Steve Palumbi of Stanford University said that, assuming things remain the same, the ocean will be devoid of edible fish by the year 2048. 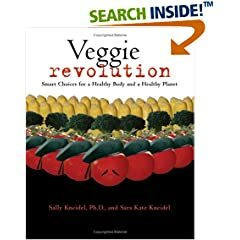 Added Charles Clover, the author of the book on which the documentary is based, "When we start really feeling the effects of climate change, when we start running out of food to feed ourselves, at the same time we will have squandered one of the best resources we've ever had on the planet." What will remain? Jellyfish, plankton, and.....worms. Lots of marine worms. Toward the end, the DVD turned to solutions. Farmed fish is not a solution, because more wild fish (such as anchovies) are harvested to feed the farmed stock than are produced for our consumption...a clearly illogical and unsustainable endeavor. Five kg of anchovies are required to produce 1 kg of farmed salmon. Future "global marine reserves" comprising 20-30% of the oceans were proposed with some enthusiasm in the DVD - large areas of ocean where commercial fishing would be banned. Nice idea, but much of today's commercial fishing is carried out in violation of governmental or international regulations. How would protection of these reserves be enforced? The DVD said $12-14 billion per year could manage the reserves. Maybe. According to the filmmakers and Dr. Ray Hilborn of the University of Washington, Alaska is on the frontline in the battle to conserve the sea. The number of fishing boats off the coast of Alaska is carefully monitored. Catch limits are set at sustainable levels or below. Fishing boats are given only a limited amount of time to fish. While the catch rate in the North Sea is 50%, Alaska's catch rate is only 10%. The documentary mentioned several companies that are making an effort to conserve marine fishes. By 2011, Walmart will sell only fish approved by the Marine Stewardship Council, a board that certifies sustainable fishing. Ninety percent of the fish served by McDonalds are MSC approved. Two-thirds of Birds Eye fish are from sustainable sources. 1) Ask before you buy. Eat only sustainably harvested seafood. (For a guide, see www.seafoodwatch.org). 2) Tell politicians to cut the fishing fleet. 3) Join the campaign for protected marine reserves and responsible fishing. The DVD mentioned the value of eating lower on the marine food chain - eating anchovies ourselves instead of feeding them to farmed fish. And it mentioned very briefly changing consumer habits. But the film never addressed, that I recall, the option of not eating fish at all. We don't need to eat fish, or food from any animal sources. 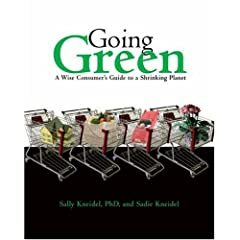 Ecologists, MDs, nutrition scientists and many, many popular writers have asserted that humans can reduce our ecological impact and our carbon footprint, and improve our health, by avoiding animal products in our diet altogether. Why does a filmmaker on such a dire subject as complete depletion of the oceans not explore this avenue of future action? The other topic I would like to have seen explored is the obvious suffering of the fish in many of the scenes in the DVD. Conscious animals were often hauled on board boats by stabbing and yanking them with large hooks, then clubbing them to death or tossing them down chutes to be buried by more live fish. The camera many times showed rivers of blood on decks of ships. Fish are vertebrates, like ourselves, and have brains not that dissimilar from our own. They feel pain; they feel fear. They don't look as much like us as other vertebrates, they're not cuddly - but they are sentient. For more details about studies demonstrating the sensibilities of fish, see Peter Singer and Jim Mason's book about animals as food, The Way We Eat. The strength of the DVD, in my opinion, was not its prescription for solutions, but its touching and memorable portrayal of the scientists and activists so desperately trying to educate consumers of the world....our oceans are on track to be empty 38 years from today. If we're not part of the solution, we're part of the problem. Awareness is the first step toward change. And this documentary does an excellent job of dramatically increasing awareness. I strongly recommend it to teachers. Show it to your classes. Talk about it and brainstorm solutions. The next generation has a short window of opportunity to take action. Or the jellyfish, plankton, and motly assortment of marine worms my husband and I found so intriguing will be the sole inhabitants of our grandchildren's seas.